Explore the fun of arts and crafts with the 4M Magnetic Tile Art set. 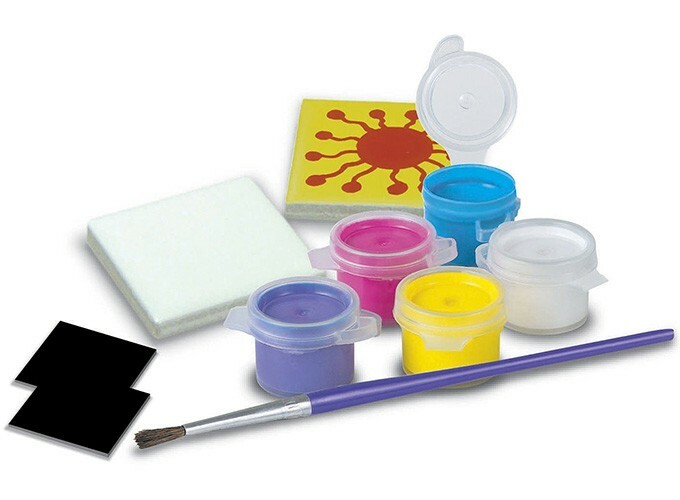 Create works of art, attach them to tiles and apply magnets to hang them on any metal surface. 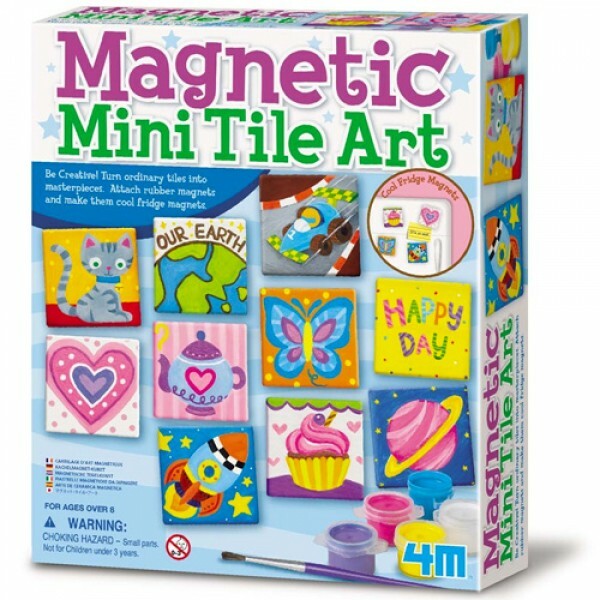 This magnetic tile art set includes tiles, magnets, a paint strip, and a brush. These 2 by 2 inch tiles are ideal fridge art, or they can be safely attached to a locker door for a unique personal touch. Kids will love getting to make their own to decorate their own space or as a gift for friends and family.